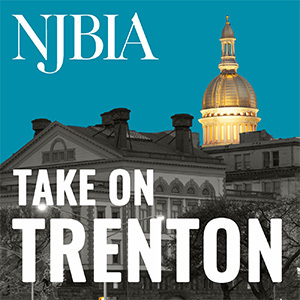 NJBIA > Testimony > NJBIA Opposes Senate Bill 2528 – Revises law concerning family leave, temporary disability and family temporary disability leave, and domestic or sexual violence safety leave. On behalf of our member companies that provide more than 1 million jobs in the state and make the New Jersey Business & Industry Association the largest statewide business association in the country, I am writing to share the following concerns on Senate bill 2528. The amended bill expands the maximum total benefits payable to any eligible individual for periods of family leave insurance (FLI) and Temporary Disability Insurance (TDI). The bill also increases the length of time for which FLI benefits will be paid from six to 12 weeks during any 12-month period and increases intermittent leave from 42 days to 52 days. The bill increases the amount of weekly benefits for FLI leave and TDI from two-thirds of a claimant’s average weekly wage to 85 percent of that wage, although the maximum amount would increase from 53 percent of the State average weekly wage to 70 percent of the State average weekly wage. The bill provides that the costs of these increases in benefits will be borne exclusively through increases in worker contributions, without any increases in employer contribution rates. NJBIA appreciates the sponsors’ acknowledgement of the increased costs associated with the proposed legislation and the attempt to have those increased costs be borne exclusively through increases in worker contributions. Utilization of these programs, however, are expected to increase because of this bill and we feel this could have a negative impact on employers’ TDI rates. The bill also removes a provision under the current NJ SAFE act that permits employers to require an employee use any accrued paid vacation leave, personal leave, or medical or sick leave during any part of the 20-day unpaid leave provided under the law. Under the bill, employees will now have the ability to collect family temporary disability leave benefits during the period of otherwise unpaid leave. Finally, lowering the exemption threshold from 50 to 30 employees will adversely impact more small businesses. Small business are already scrambling to comply with a new paid sick leave law and other recently enacted laws, all of which increase the costs of doing business in New Jersey. For these reasons we respectfully ask that you vote NO on S-2528.